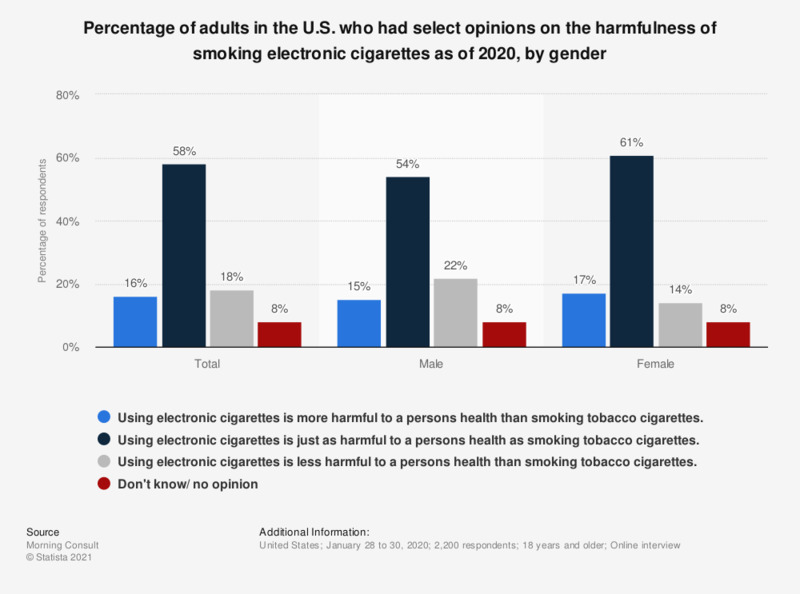 This statistic shows the percentage of adults in the U.S. that had select opinions on the harmfulness of electronic cigarettes when compared to tobacco cigarettes as of 2018, by gender. According to the data, among males, 41 percent felt that electronic cigarettes were less harmful than tobacco cigarettes. Using electronic cigarettes is more harmful to a persons health than smoking tobacco cigarettes. Using electronic cigarettes is just as harmful to a persons health as smoking tobacco cigarettes. Using electronic cigarettes is less harmful to a persons health than smoking tobacco cigarettes. Original question: "Which of the following is closer to your view?" Everything On "Electronic cigarettes (e-cigarettes) consumer behavior" in One Document: Edited and Divided into Handy Chapters. Including Detailed References. Statistics on "Electronic cigarettes (e-cigarettes) consumer behavior"
U.S. population: Which methods have you used to quit smoking in the last 12 months? Have you ever used e-cigarettes, even one time? On average, how much do you spend per week on e-cigarette and e-cigarette supplies?